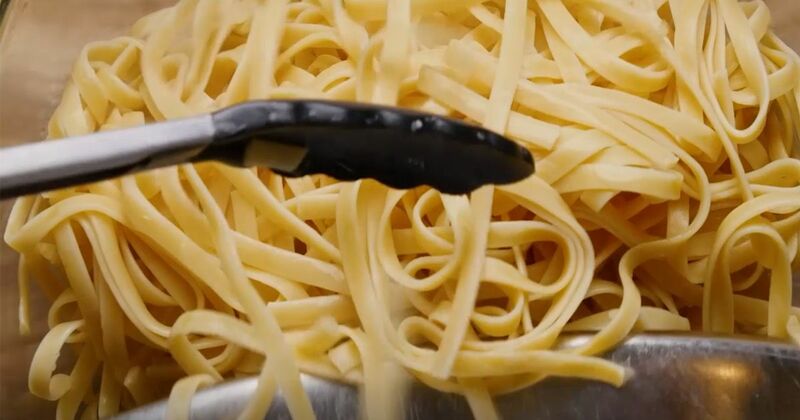 Fettuccini has its origins in Italy, but today it's one of the most popular comfort foods in America! It's perfect when you're looking for a meal that will really fill you up. The next time you're looking for a tasty meal, we've got you covered. These recipes are just what you need to get you through the chilly winter evenings! No need for Pizza Hut anymore! The recipe below is as close to takeaway food as you'll ever get, and you'll be eating it long before the delivery man would arrive! 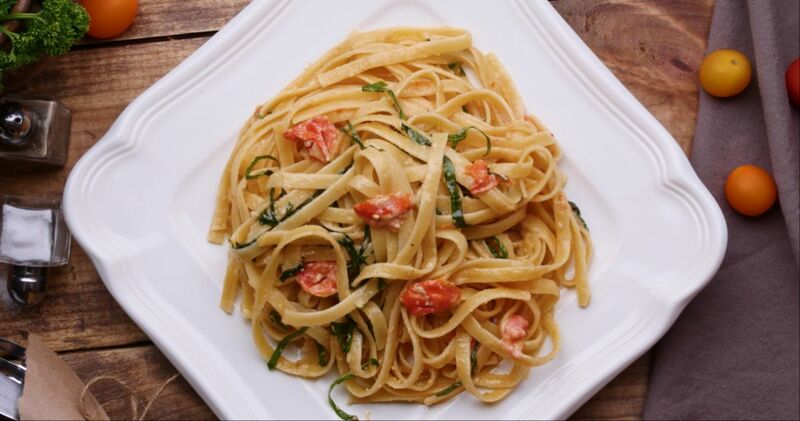 Kids and adults alike will love this dish, and they might not want to "kiss the cook" after all that garlic! Get the recipe here. The recipe below may sound daunting, but nothing could be further from the truth! Impress your friends by hosting a dinner party with this dish, or enjoy a quiet evening at home with your family. 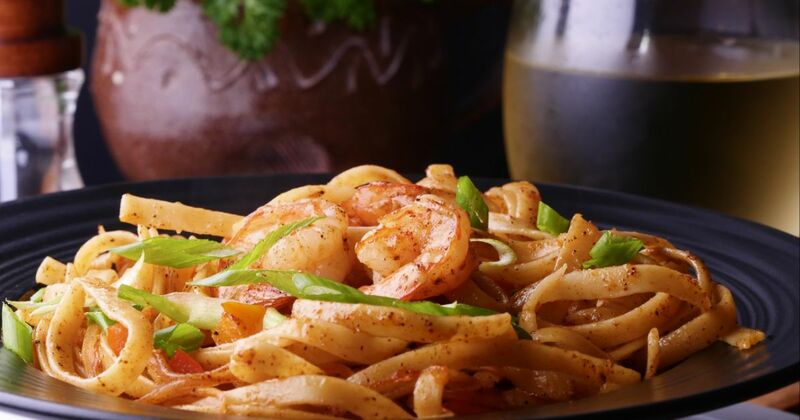 Be sure to make just the amount that you're looking to eat, since shrimp is not known for its longevity in the fridge! Get the recipe here. Make your Italian friends jealous! 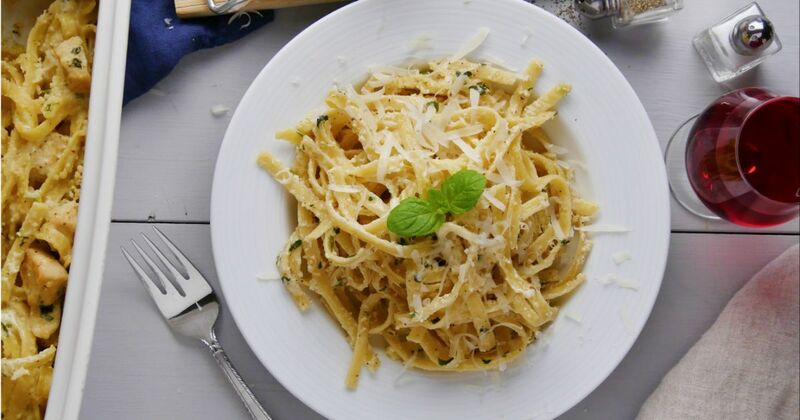 This classic pasta dish is so simple to make, but oh-so-tasty to eat! Just a handful of ingredients can transform into a light, flavorful dish that you could be proud to serve to your friends and family, or just a light lunch or dinner for one! Get the recipe here. As the winter gets darker and colder, it's time to start thinking about meals that are warming, hearty, and satisfying. 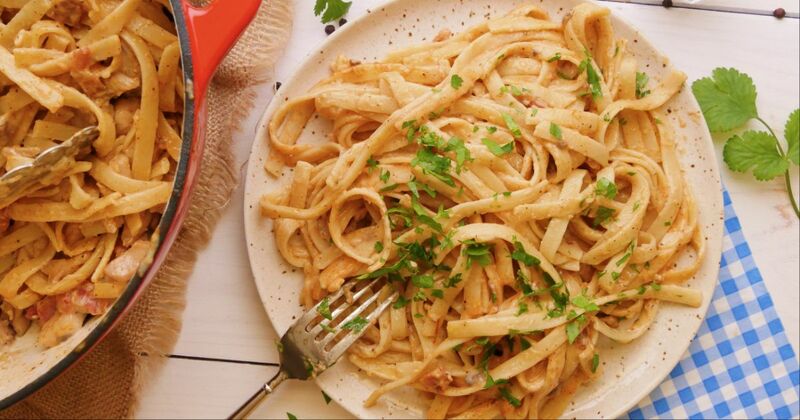 This creamy mushroom chicken fettuccini ticks all the boxes, and then some! Tender noodles covered in a rich sauce with well-seasoned chicken and mushrooms is sure to be a crowd-pleaser on those cold and rainy nights! Get the recipe here. Nothing says "comfort food" like a huge pot of noodles and pork! This creamy, flavorful dish is a quick and easy meal that's bursting with spice and perfect for a rainy or snowy night. 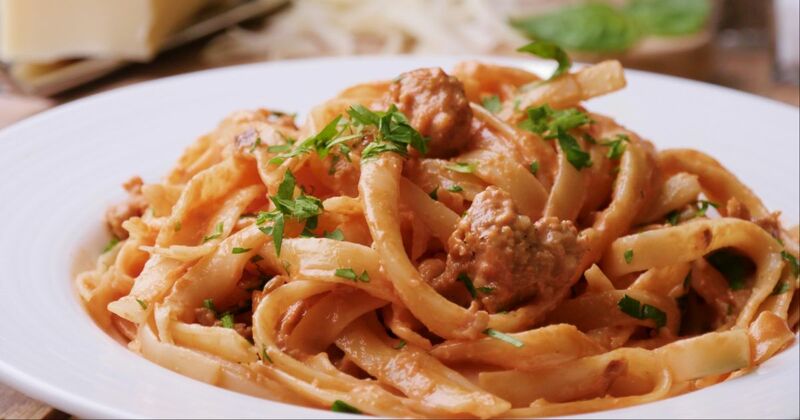 Tender fettuccini noodles are coupled with a creamy tomato sauce and spicy, crumbled sausage to create a dish that will drive your taste buds wild! It's a meal perfect for the whole family! Get the recipe here.